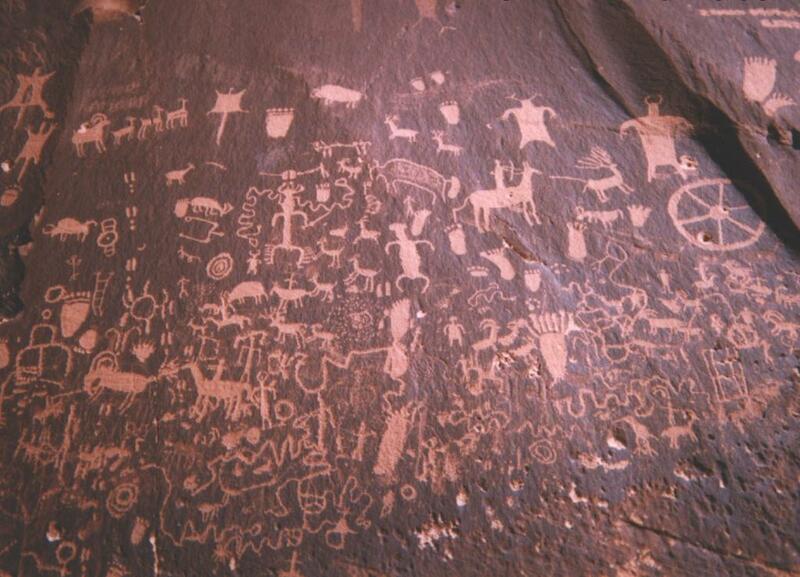 Petroglyphs are carvings in stone which are largely associated with Pre-historic civilizations. The word originally came from the Greek words petros meaning "stone" and glyphein meaning "to carve" (it was originally coined in French as pétroglyphe)." The oldest petroglyphs are dated around the Neolithic and late Upper Paleolithic boundary, about 10,000 to 12,000 years ago, if not earlier. The main purpose of these writings was for communication, and although times changed as pictographs and ideograms began to appear, the Petroglyphs still lived on until the 20th century.Petroglyphs are found all over the globe including locations such as: Africa, Scandinavia, Siberia, southwestern North America and Australia. Rock carving known as "Meerkatze" (named by archaeologist Leo Frobenius), rampant lionesses in Wadi Methkandoush, Mesak Settafet region of Libya. 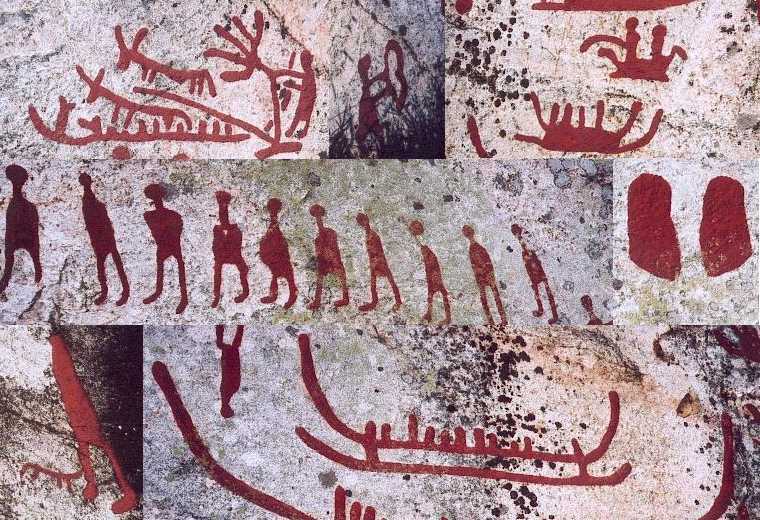 Composite image of petroglyphs from Scandinavia (Häljesta, Västmanland in Sweden). Nordic Bronze Age. The glyphs have been painted to make them more visible. I'd love to see live and in person some of these cave drawings and take my own images.